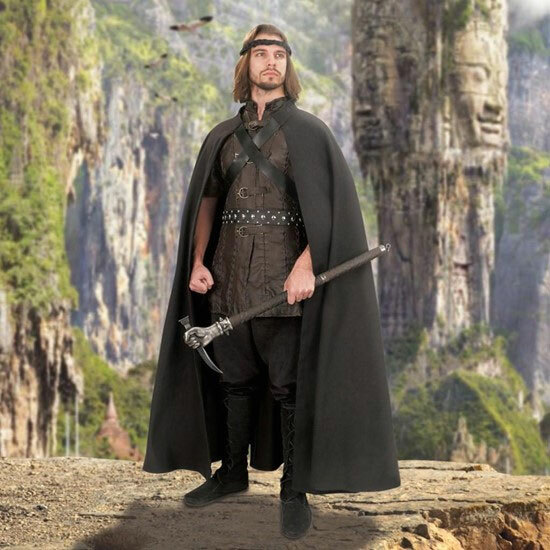 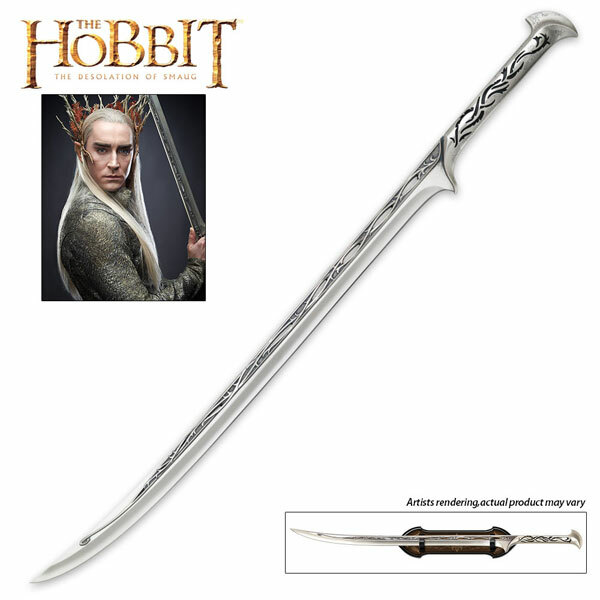 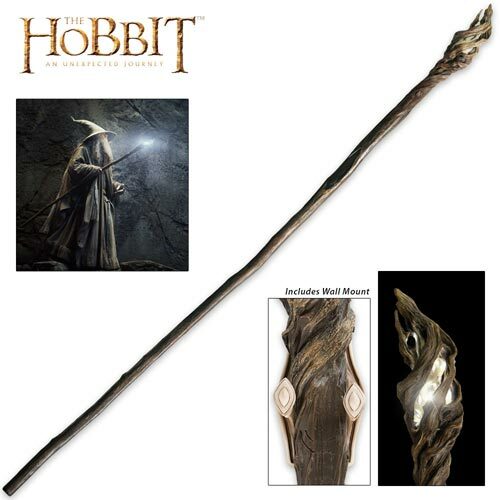 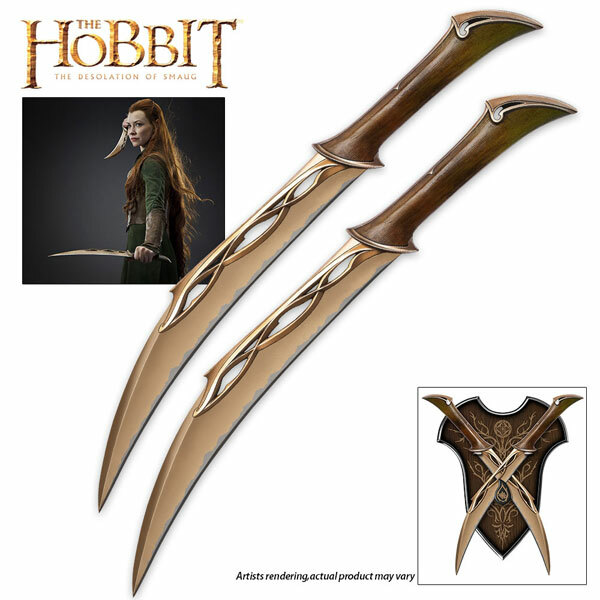 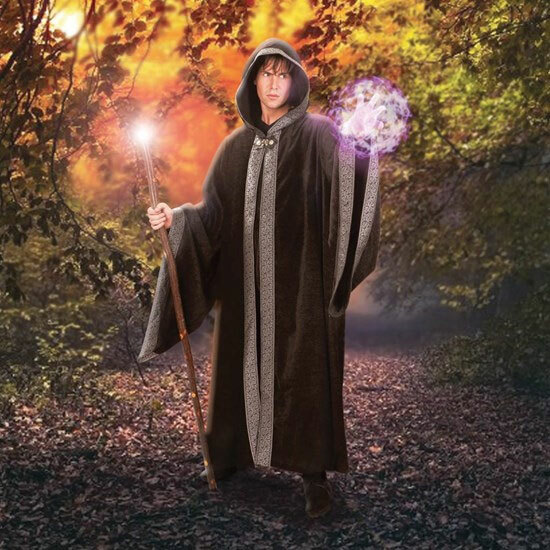 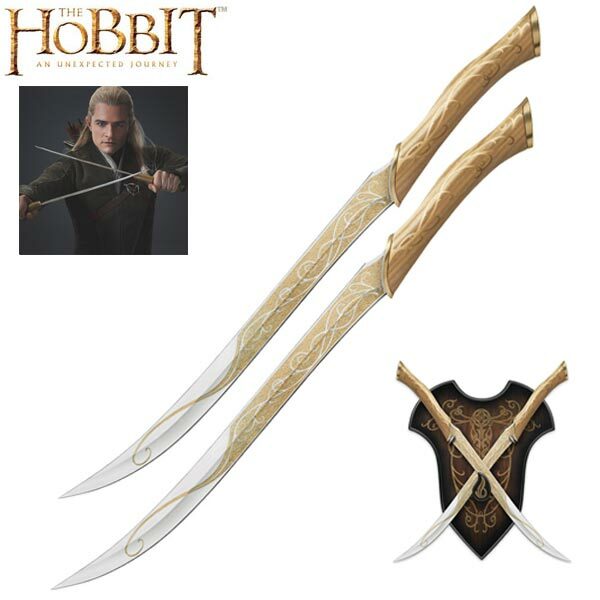 Legolas Swords for sale are detailed replicas the ones brandished by the Elf Prince from Mirkwood in the Hobbit movies. 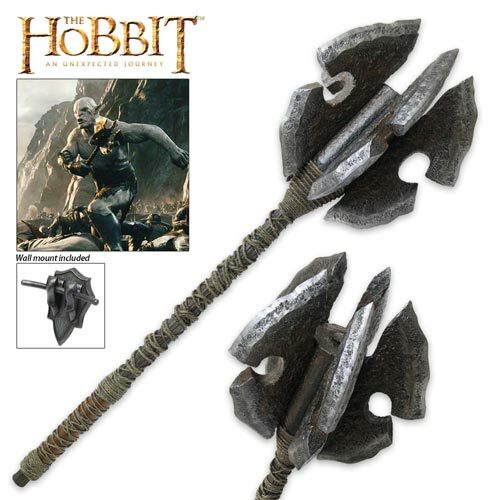 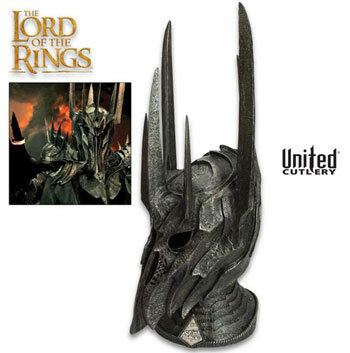 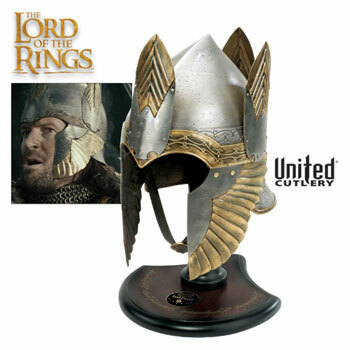 These pieces are exceptional replicas of the real props that were designed by Weta Workshop for the films. 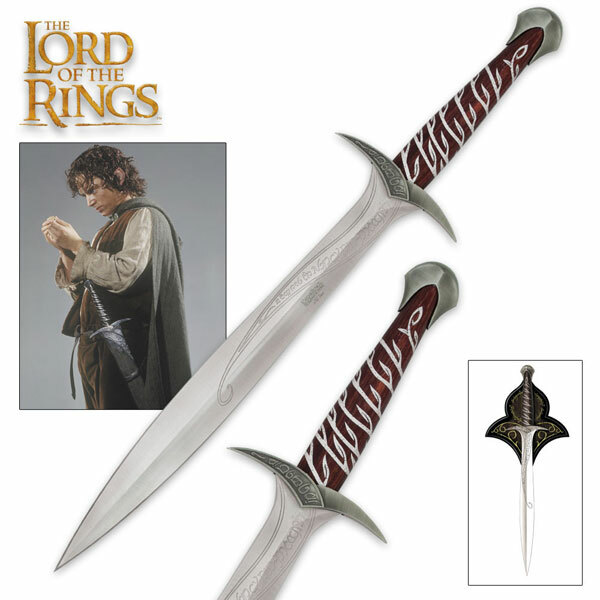 These sharpened swords measure 22 3/8th inches overall. 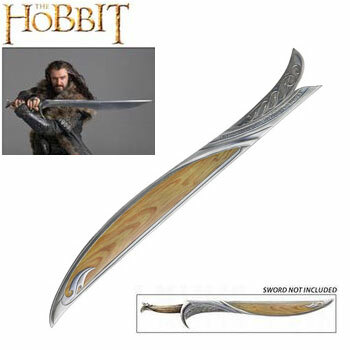 They have 15 ¾ inch, sharp stainless steel blades with a gold color design. 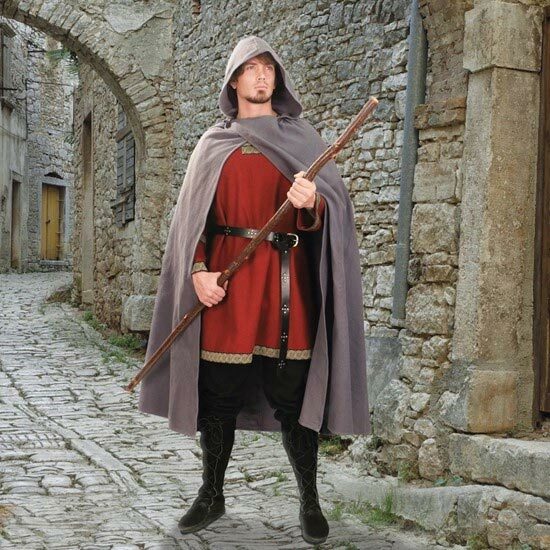 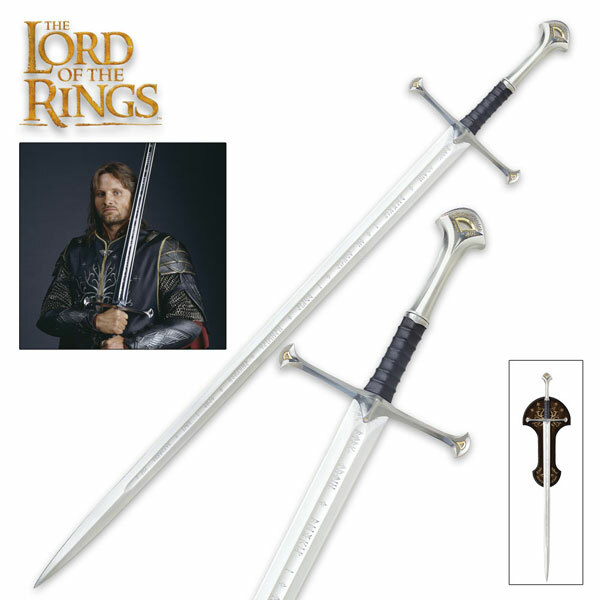 They are full tang and have a real cast metal guard and pommel. 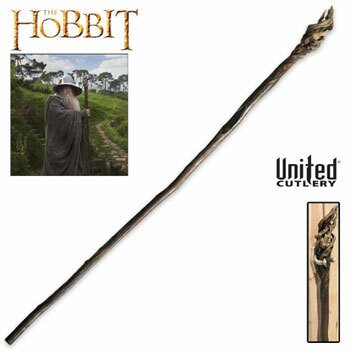 The solid American oak handles have a gold and tan color with an Elven vine pattern. 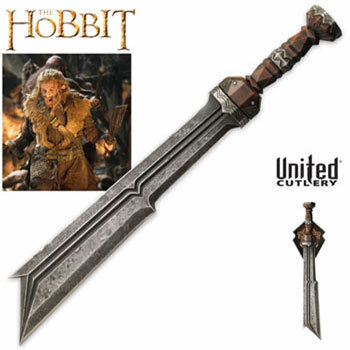 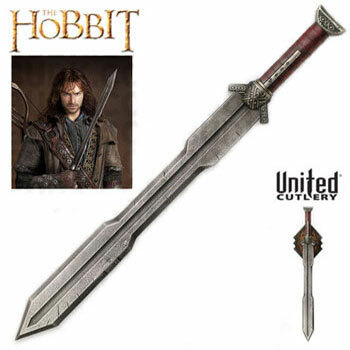 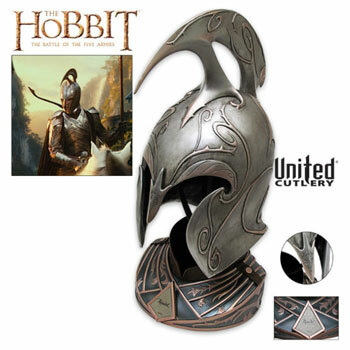 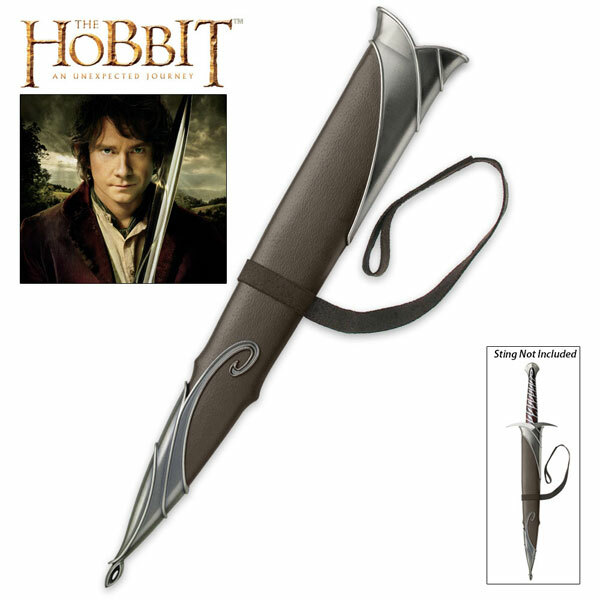 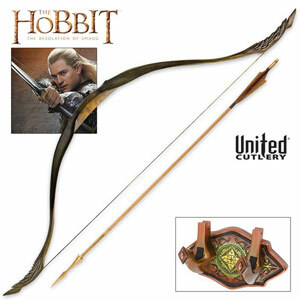 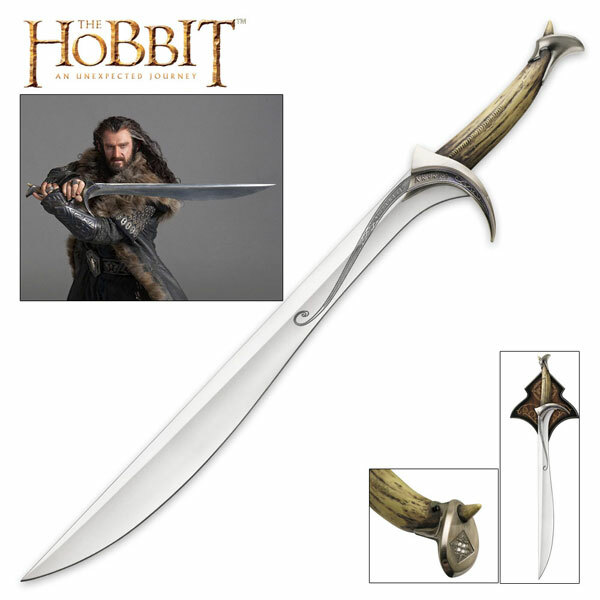 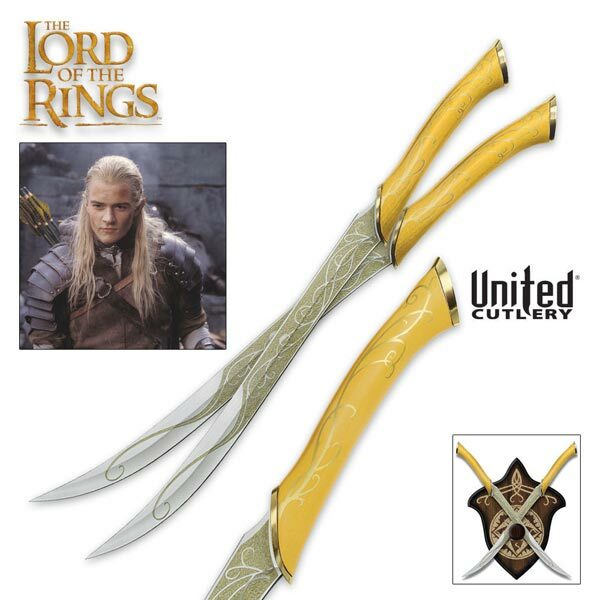 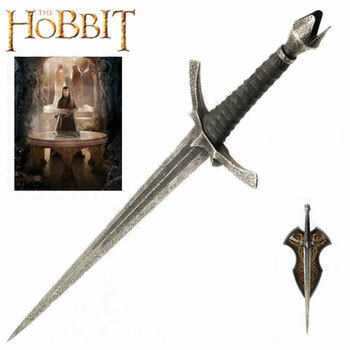 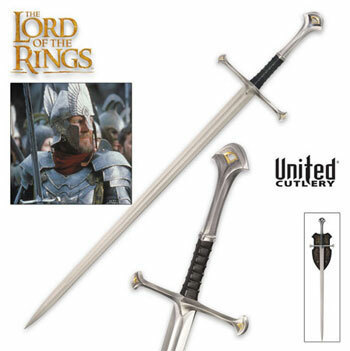 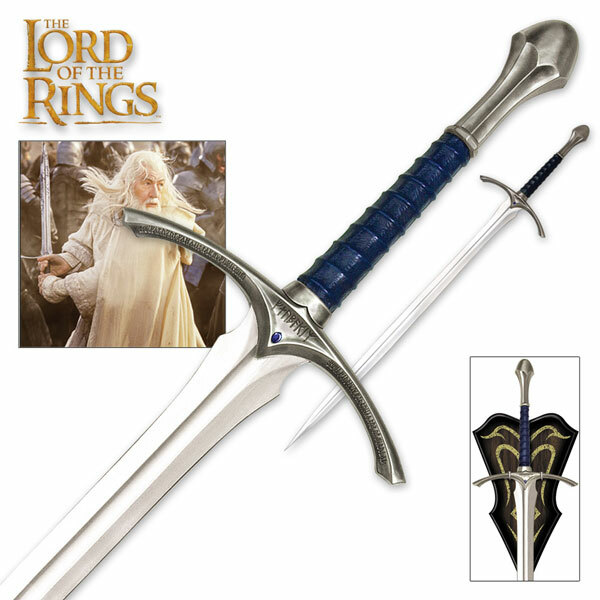 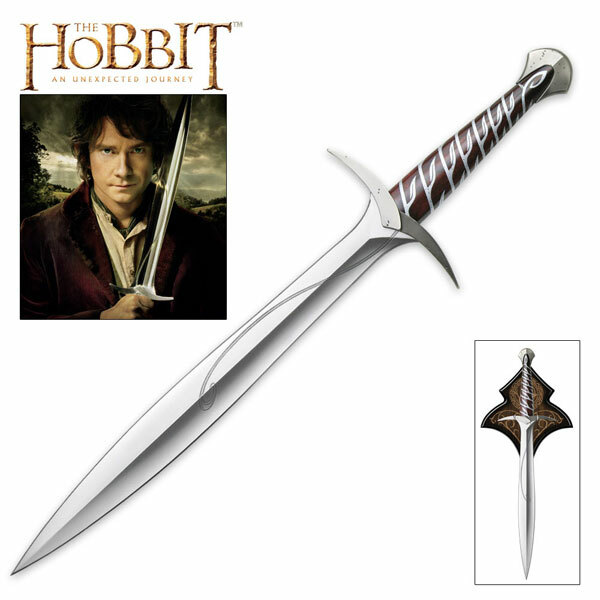 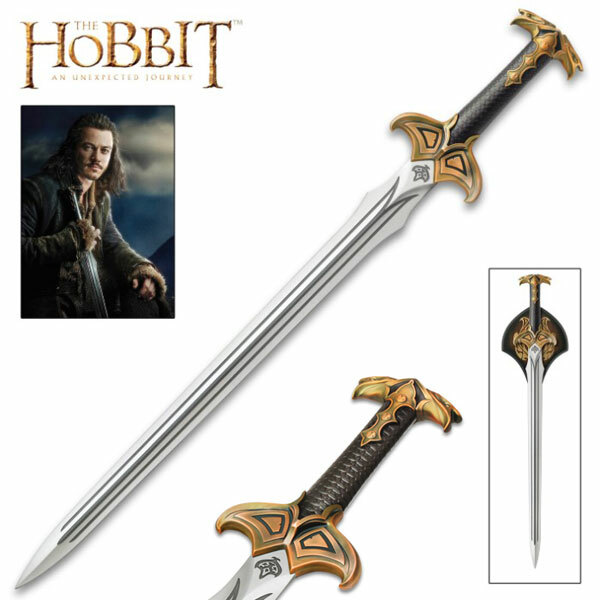 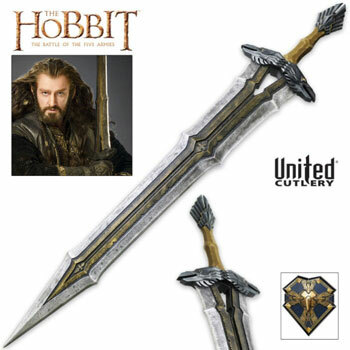 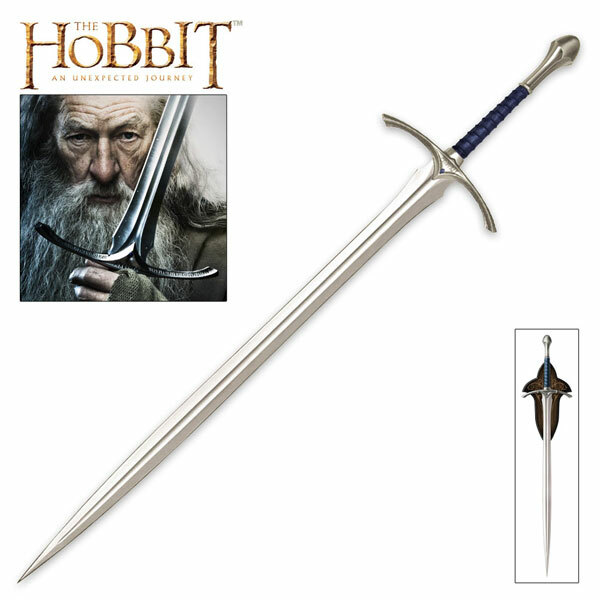 These officially licensed Legolas Greenleaf swords are made by United Cutlery and include a certificate of authenticity. 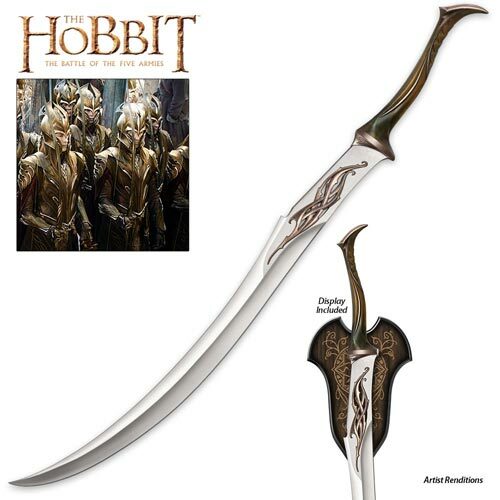 They look more like the swords from the Hobbit movie than those in the LOTR film. 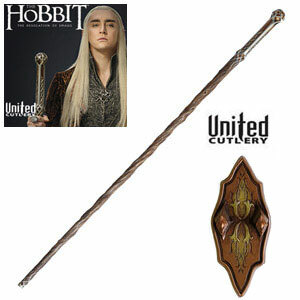 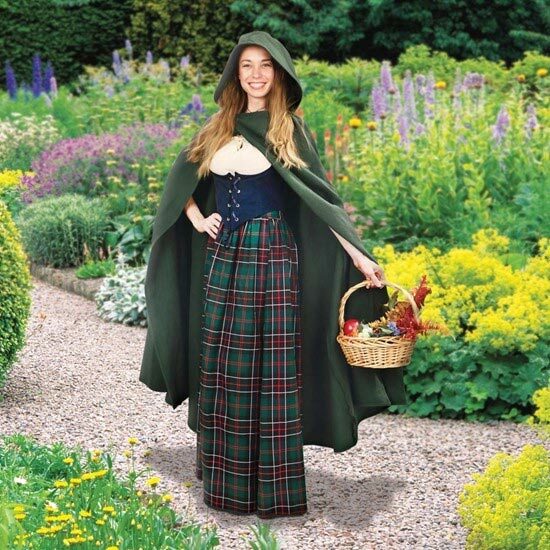 They include a wall display plaque which features the Legolas Greenleaf badge. 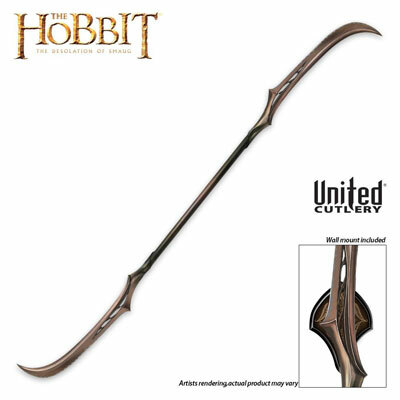 Item includes mounting hardware and instructions for $189.99.